Sultan Mahmood Ghaznavi book authored by Mubeen Rasheed. This book is a tremendous and most authoritative book on the history of Mahmood Ghaznavi in Urdu language. The Idol Breaker Mahmood Ghaznavi is a shining star of the Islamic history who can rightly be proud by the Muslim of subcontinent. In extreme circumstances, he placed the first brick of Islam in the region by making 17 attack on the temple of Somnath and destroyed this pride of the Hindus of Subcontinent. The present book covers the complete history of Sultan Mahmood Ghaznavi, Ghaznavi, his family tree, Mahmood Ghaznavi’s rule of government, his historical attacks on India and his achievements. Shortly, this book is a fantastic and authoritative book on the history / biography and character of Sultan Mahmood Ghaznavi ever written in Urdu. 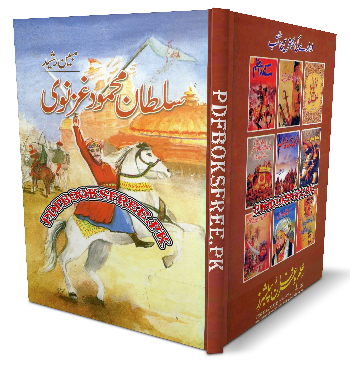 The book “Sultan Mehmood Ghaznavi” is now available here on Pakistan virtual library in high quality Pdf document for the study of our users. Check out the following links to read online or download the complete book in Pdf format and enjoy offline reading in your computer and android devices.